The Ontario Aerospace Council invites Members of Women in Aerospace Canada to attend the 3rd Annual Aerospace Unplugged event being held in Toronto. Join us for our 3rd annual Aerospace Unplugged & AGM 2018 being held at the Toronto Airport Marriott Hotel. 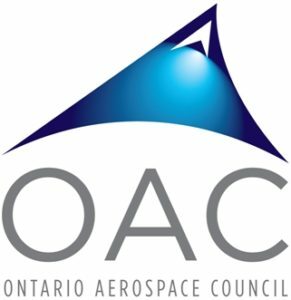 This year’s event will mark the 25th Anniversary of the Ontario Aerospace Council and we are looking forward to celebrating this milestone with you. Come learn about current trends, forecasts, aviation information and data covering commercial, defense, business and regional markets and MRO. Participate in discussions with our speakers and take advantage of the networking opportunities with industry stakeholders from across Canada. Don’t miss the acclaimed, thought-provoking and most entertaining aerospace panel to be held in Toronto this year! The Ontario Aerospace Council invites Members of Women in Aerospace Canada to attend the 3rd Annual Aerospace Unplugged event being held in Toronto. WIA members can purchase tickets at the Affiliate Member rate through the OAC website.